Now we introducing a Secure & Profitable Forex Trading System Strategy ( Power of Trend Indicator and Expert) . Power of Trend Indicator and Expert Advisor Products are suite able for Long Term and Short term Traders. Here You can see our Products Last two weeks Trade Signals and Expert Advisor Performances. Please once must check it because it is really works. it doesn’t matter which Account Type you have. it works on all types of accounts like ( Micro , Mini, Standard , Classic, Ecn, Cent, Pro ). It doesn’t matter on which Broker you have account. No matter Which Time you are using indicator or EA. it works on all Currency pairs Like. EURUSD, GBPUSD, EURGBP, EURJPY, NZDUSD, AUDUSD,AUDJPY , USDJPY, USDCAD, USDCHF, GOLD , GBPJPY. No Pending Orders Direct Order Execution. No Martingale , No Grid, No Scalping. it is very accurate strategy based indicator and robot that help you to understand market trend and help you to make good profit with low risk.it have a very small Stop-Loss level but the profit target is Big. You can Check Recent Post’s Signals on Our Facebook page or MQL5 Timeline. MQL5 website indicator product link. Power of Trend indicator Based on some of our strategies. it Specially designed for long term and short term trader.Power Trend indicator show you Entry price , Exit Price, Signal Type Buy or Sell it doesn't matter which time you are using it. when you set it on your chart it Analyze then previous History Bars and show you all previous and new signals levels. How to Set Stop-Loss ? When indicator Generate BUY or SELL signal it automatically create two small lines. And it will show you signal Entry price and Stop-Level Price on your chart screen. For BUY Trade you can set your stop-loss at first ( Fix 400 points stop-level line) or second lower Green stop-level line. this is automated stop-level line. For SELL Trade you can set your stop-loss at first ( Fix 400 points Red line ) or You can choose upper Red stop-level line. Normal stop-loss in points 400 but if you set your stop-loss at second price level then it is much better. If Stop-Loss is more-than 800 or 1000 points then you can avoid that signal. Normally Trade Target is 1200 to 1600 and 1800 to 3200 points but some-time market move in positive side 650 to 900 points. If you put a buy order and market move in your favor around 500 to 750 points range then you can set your trade stop-loss at Break-Even. or you can do wait to hit your Target. if you realize may be market move more in positive side then you can do Big your Take-profit . If you want to Buy Please feel free to Contact given below the address. Don’t waste your time don’t waste your money. 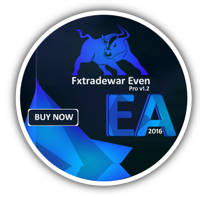 get now best trading strategy and make money.